The internet has become the main source of research for potential buyers looking for their next home. Not only are they relying on the internet, but their main source is often social media. Social media is a critical tool in the home builder industry. It can be used to reach new visitors, gain site traffic and attain more leads, but only if used in combination with best practices. Not sure what social media best practices look like in the home builder industry? Start to follow these home builders who are rocking social media! Highland Homes: This company is rocking social media on almost all major platforms. They use social media to provide followers with new home tours, provide helpful information and put a face to their home owners by posting purchase pictures. Highland Homes also has very strong Google+ and YouTube accounts. Google+ is gaining more active users and Highland has linked their home tours from YouTube to their Google+ account, which is an excellent strategy. Toll Brothers, Inc.: Toll Brothers understand the importance of content creation for social media. Their blogs provide helpful information that their audience is looking for. They share the information across all their social media platforms and are not afraid to use their content more than once. Their Pinterest account provides tips and ideas for homeowners and potential buyers including tips from industry leaders. This company knows how to use targeted content to reach potential leads and turn these leads into buyers! Tilson Home Corporation: This company is a powerhouse on Facebook. Tilson Home Corporation understands the importance of helpful content for the visitor. Providing in-house content or third party content that addresses pain-points potential customers may have is extremely helpful in keeping your company top of mind. Tilson has a great presence on Facebook and is growing on other social media accounts. Pardee Homes: This company is using social media to communicate effectively with their followers. Pardee understands the pain-points of their customers and effectively creates content to alleviate these concerns. They engage in conversation through their social media platforms with followers, gaining their trust. Pardee has a strong presence on Pinterest creating boards that include tips for decorating your home and daily household tips. They do not create only self-promotional boards which is key to success on Pinterest. Schumacher Homes: Schumacher Homes uses a strong combination of helpful content and fun humor to keep their audience captivated and interested. They understand that it is not just a home a buyer is looking for; it’s a lifestyle and a community as well. Their LinkedIn presence is very strong because they share helpful posts frequently. Schumacher uses their Pinterest board to connect with the lifestyle choices and use Facebook and Twitter to provide helpful content. Combining these tactics with a little bit of fun creates a mighty social media presence. Follow these companies through social media and pick up tips and ideas on how you can make your social media rocking as well! 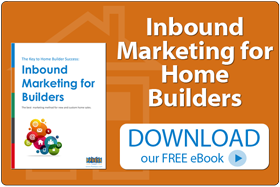 This entry was posted in Blog, Builders & New Home Marketing, Social Media Marketing. Bookmark the permalink.